Millon Express is your one stop shop for all of your shipping needs into the islands! Millon Express is an airline providing an all-cargo service into the Bahamas and the rest of the Caribbean. We offer regular flights into Nassau and flights into Freeport from Miami. We have offices conveniently located in Miami and Nassau, as well as agents in Freeport. Need Discounts? Not a problem, we have you covered. Sign up today at www.millonexpress.com. 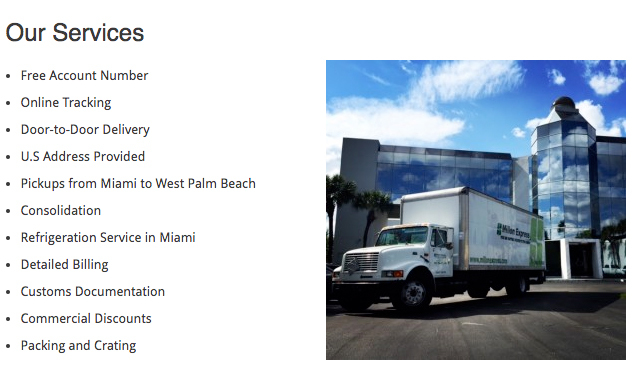 For every person you refer to use our services you will receive up to 10% off on your next shipment. As a bonus you will also receive your 1st 5lbs FREE!! Need Purchasing? Not a problem, we have you covered. Speak to one of our U.S based personal shoppers today. Just ask to be transferred over to our Purchasing Department. Need a U.S Address? Not a problem, we have you covered. Go ahead and use our warehouse address as your own. Just remember to sign up at www.millonexpress.com/pie-register-registration/ to receive your account number. 6500 NW 72nd Ave, Miami, FL 33166. 5 stars!!!!!! Have you used them a few times now and never had a problem. I use them for all of my personal and business shipping needs. They helped me every step of the way. Best customer service on the island!